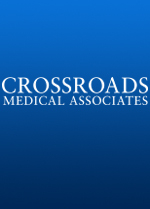 Crossroads > Our Physicians > Joseph J. Aleo, Jr., M.D. Our Physician - Joseph J. Aleo, Jr., M.D. Joseph J. Aleo, Jr., M.D.